In this tutorial, we look at how to add a child or nested routes to an Angular route. Child Routes or Nested routes are a powerful new feature in the Angular router. Nested routes are routes within other routes. In this Tutorial, we will show you how to create a child route and display the child components. The Angular allows us to nest child routes under another child routes effectively creating a Tree of routes. The Routes in Angular also follows the component tree structure and allows us to define the nested or child routes. In the above example, the ProductComponent displays the list of Products. 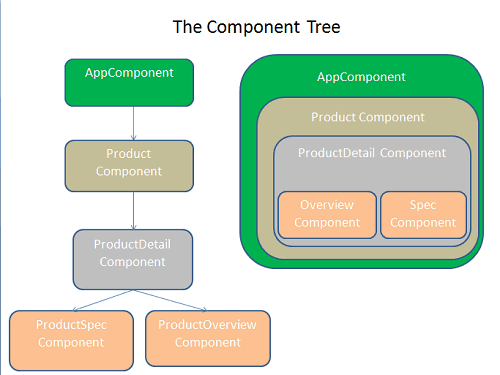 The ProductDetailsComponent is defined as the child of the ProductComponent displays the details of the selected Product. This tutorial builds on the app we have built in the Passing Parameters to Route Tutorial. You can download the code from gitHub. 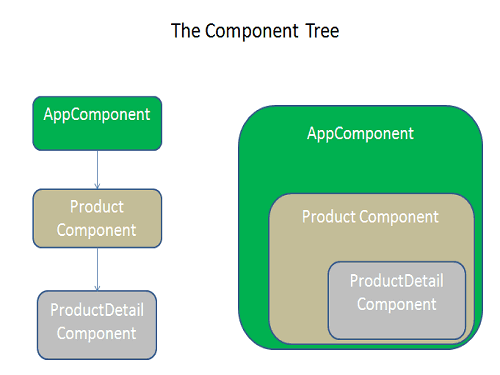 We already have created ProductDetailsComponent, but it is not designed as the child route of the ProductComponent. Let us update the code make it child route of the Product route. You will see the following routes defined in our application. The child route definition is similar to the parent route definition. It has path and component that gets invoked when the user navigates to the child route. This is will match the URL path “/product/detail/id”. The components are always rendered in the <RouterOutlet> of the parent component. There is no change in the Product Detail Component. Note that we are using the snapshot method to retrieve the route parameter id. Now, click on another product, and you will notice that the Product details page does not get updated with the new product. This implies that the ngOnInit life cycle hook is not invoked when the user navigates to the component again. We are retrieving the parameter value in the ngOnInit using the snapshot method. Hence our component does not update it self. This issue can be rectified by subscribing to the observable params property. Our component will be notified, whenever the value of the parameter changes. So that we can update the component accordingly. Now, you will see that as you click on another product, the ProductDetailComponents updates itself. We can add child routes to a child route. We are using relative path to while binding path to the routerlink directive. Absolute paths will begin with a forward slash /. When using the relative path, the router will append the path to parent route path to construct the final URL. The ProductOverviewComponent just displays the text “Overview of <Name of the Product>” Message. The most important point is how we retrieve the product id from the route. We are subscribing to the params array of the parent component. We looked at how to create child/nested routes in angular. this._Activatedroute.parent is null error from ProductOverviewComponent. I am using Angular 4.4.6 version. Hey…. I loved your description of child routes. I had no idea that the parent route component needed to have a ‘router-outlet’ of it’s own. Now that I know that, I understand WTF is going on. Thank you for your wonderful explaination.